"I never really endeavored to hide anything. But there were times I chose not to relegate my history to the back page of a magazine, which to me is sort of akin to putting your biography on a bathroom wall." Bomer spoke about the reactions to him being out. "I had somebody from the military approach me a few weeks ago just saying how this helps people, affects people. It brought me to tears." 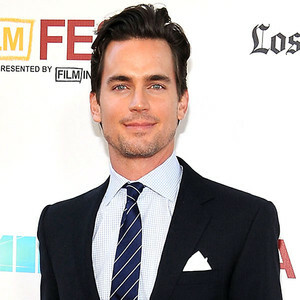 Bomer then revealed his surprise that Magic Mike's director Steven Soderbergh considered him for the role. Bomer tells Malkin the difficulty in stripping. "Channing told me, 'You have to use the stretcher and just get up on this girl and grind your junk in her face. But this girl was not going to just sit there and be ground upon. She started licking me in all kinds of special places and we just kept going…It was one of those situations where you were in an environment where moral parameters are not the same as they are if you're doing a political drama. You just sort of have to say yes to everything and embrace it." Read the full article at E!.